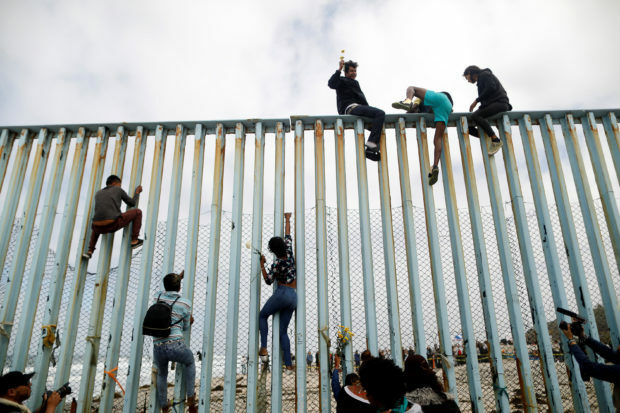 The caravan of migrants from Central America seeking asylum in the U.S. has arrived at the border, and some people associated with the group have already been caught scaling the border fences. “Several groups of people associated with the Central American caravan” illegally entered the U.S. “by climbing over the dilapidated scrap metal border fence on either side of the San Ysidro Port of Entry,” Rodney S. Scott, chief of the Border Patrol in the San Diego sector, which sits just north of Tijuana, told reporters Saturday. 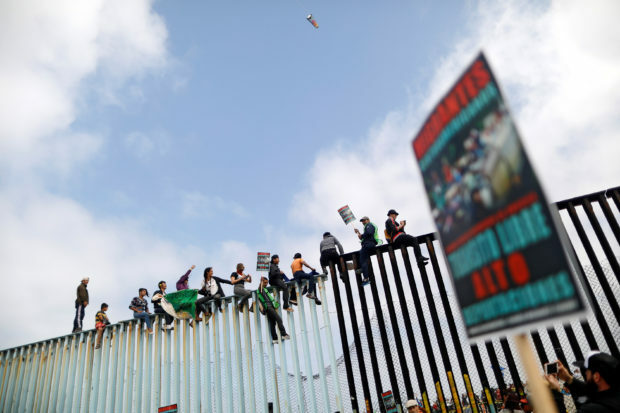 Five busloads of migrants were escorted Sunday through Tijuana to a cross-border rally near San Diego, where supporters gathered on both sides of the fence, The Associated Press reports. 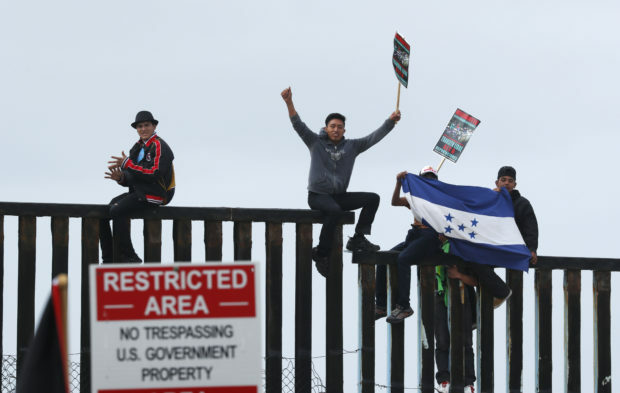 Images from the rally show apparent migrants from the Mexican side sitting atop the border wall proudly waving what appears to be the Honduran flag, the banner of the country from which many of the migrants are trying to flee. Reuters identified the climbers as members of the caravan of migrants. The Associated Press revealed that more than a dozen people from the Mexican side of the divide scaled the wall, as Border Patrol agents watched carefully nearby. Related video also showed some individuals pushing through the chain link fence. The Trump administration has determined that the perceived invaders are a threat to American national security. “We need a strong, impenetrable WALL that will end this problem once and for all,” President Donald Trump, who has dispatched the National Guard to the border, reportedly told campaign supporters. The president has repeatedly stressed the need for tougher border security.